The diffusion of knowledge lies on completion of its generation, aiming to reach the final “target public“ of the accomplished researches, that are, in the agribusiness world, rural producers and agronomy students. The purpose is to meet the individual that seeks information with defined purposes, in order to find something that allows It to change its knowledge level, selecting and processing the information. 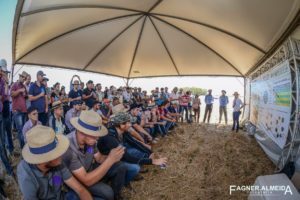 Furthermore, more lately, some knowledge dissemination strategies have been carried out, and they aim to aware the society as a whole about the relevance of a sustainable food production. 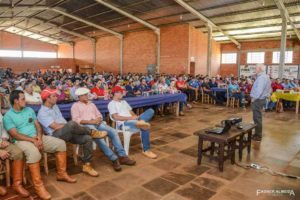 Therefore, Aliança SIPA spread its knowledge through actions, such as events (field days), technical bulletins and newsletter and human resources generation for acting on education/research/ extension. The technical bulletins and newsletters are used to spread the scientific-technical results for the target public interested in SIPA in a simple and brief way, representing a consultation source at any time for readers. The technical bulletins and newsletters are written by professionals accountable for knowledge generation in SIPA, and they also act as students, professores, researchers and consultants of research groups and companies integrating Aliança SIPA. For more information, check our Virtual Library. Human resources development for acting of on education, research and extension. The development of human resources, made through internships, undergraduate research programs and post-graduation (mastership and doctorate) is also a differential of Aliança SIPA to contribute for fostering and spreading these productions systems. Until now, the developed knowledge generation works were already accountable for the direct formation of around 150 people, including Agronomical and Forestry Engineers, Veterinarians and Zootechnicians, at the undergraduate, mastership, doctorate and post-doctorate levels. 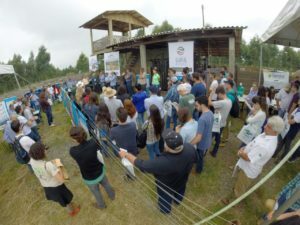 These professionals act today in several regions in Brazil and all over the world, spreading the SIPA concept as unique production systems for obtaining food sustainable production.